A safari in the beautiful sun kissed jungles of South Africa to visualize the massive diversity of flora, fauna and wildlife is what every person dreams of. It is something that every animal lover would want to do at least once in the lifetime. However, in spite of being everyone’s holiday dream most people cannot make the trip only for cost issues. Safaris are highly expensive holiday choice and the words ‘safari’ and ‘budget’ do not gel well together. However, there are certain ways in which you can enjoy a bush experience without spending ‘too much’. When it comes to vacation and touring, location certainly plays a significant role. The closest bush destination airports from South African international airport are Richard’s Bay, Hazy view, Skukuza, Hluhuwe, but are expensive. Instead picking a safari which is close to local low cost airlines like Safair, Kulula, and Mango will reduce the expenses. For example the Pilanesberg national park is close to the Lanseria Airport and a visit during weekdays means reduced Safari costs. Moreover, while opting for car hire services vacationers must stick to local car services as their packages are reasonably priced. While these local car hire services can be availed at a low cost, they are also well versed about the environment and wildlife in the surrounding regions. 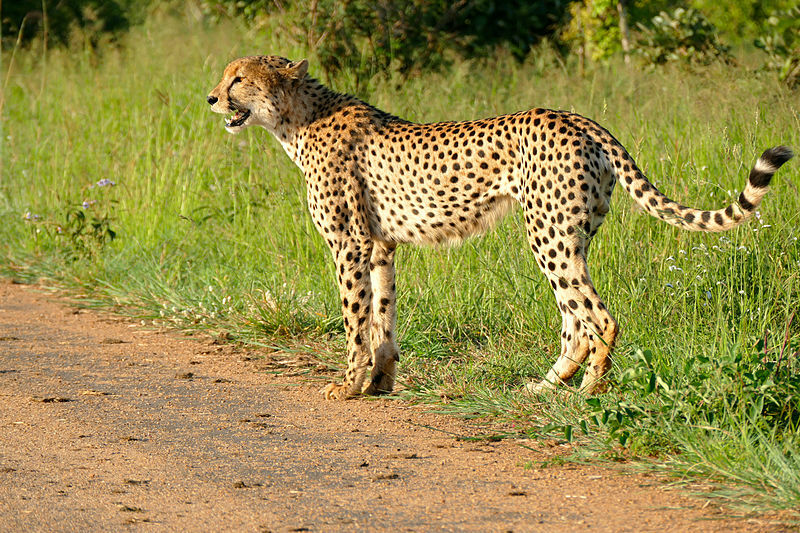 South African national parks or SANParks operate 20 different parks across the country. Compared to the privately operated lodges, their properties are far cheaper. There are numerous accommodation options in national parks like guesthouses, cottages, chalets, huts and campsites. All these accommodations can be booked with ease prior to the trip through the park’s central website. Skukuza being one the largest offers steakhouse chain restaurant, a number of shops and a variety of different cottages. There are swimming pools and play areas for family vacationers, and a decent cottage for four costs a considerable £138 for one night. If vacationers want to go for cheaper and more exciting lodging options they can stay in electricity free tents. In these wilderness camps a single fence separates the animals from the people and a two person tent costs a mere £32 for one night. If vacationers are on a low budget and still want to get the best of Safari experience they can visit the bush regions of South African during low seasons. The dry winter which is between the months of May and September are low seasons. Thought in the North, it is considered as the ideal time for game viewing. During the winter seasons animals flock around the waterholes making it easier to spot them. Mosetla Bush Camp and eco lodge close to the Lanseria airport offers reliable game viewing, value for money services and game rich Madikwe reserve. It offers a rustic camping experience and is lit at night with mesmerizing paraffin lamps. Discount sites is the best option for those who want to get the best of experience at a reasonably low price.